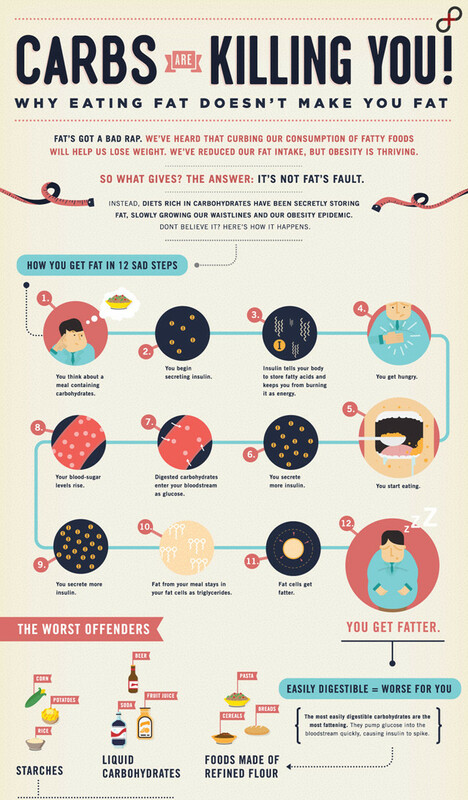 Fats get a bad rap. We have heard that curbing our consumption of fatty foods will help you lose weight. We have reduced our fat intake, but obesity is still thriving. It’s true that carbs are killing you because diets rich in carbohydrates have been storing fat, growing our waistlines and our obesity epidemic. For quick and easy weight loss, a low-carb diet is a lot more effective than a low-fat, high-carb one. Check out this infographic by Massive Health to see how carbs are killing you.